Businesses could add up to £1.4 billion to the UK economy each year by taking a more strategic approach to flexible working, according to a study by Vodafone UK and think tank RSA. The Flex Factor, based on a national survey of 2,828 employees and employers, found that 77% of respondents work in organisations that offer flexible working, half of which have a policy in place. However, the study also found that the remaining 13% of respondents who want to work flexibly are not being offered the opportunity or do not know how to ask for it. It claims that the productivity benefits gained by unchaining employees from their desks is worth potentially £4,200 for every staff member - around £1.2 billion in total - as a result of reduced printing costs and allowing busineses to make more efficient use of space. Employees could gain around five extra hours of productive work time per week by allowing them to work from home, according to the study. 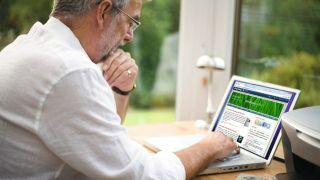 The study also found that 64% of respondents who are allowed to work from home said it enhanced their job satisfaction. However, less than half (46%) of employers provide their employees with access to a work laptop, while one in four provide a smartphone, and one in 10 are now providing tablet computers.